(HARRISBURG, PA)���Matthew Ehrhart, Chesapeake Bay Foundation (CBF) Pennsylvania Executive Director, released the following statement regarding the Commonwealth of Pennsylvania's final Watershed Implementation Plan (WIP) submitted to the U.S. Environmental Protection Agency (EPA) on November 29, 2010. "The Chesapeake Bay Foundation (CBF) has completed a preliminary review of Pennsylvania's plan and we are encouraged by the new commitments outlined in the final Plan. We acknowledge that the Commonwealth has made many changes to the initial draft WIP, and we applaud the state's open process that involved many stakeholders. But the Commonwealth has not completed the job, yet. "As CBF urged, the Commonwealth has made significant improvements towards ensuring compliance with existing laws for, and resulting reductions from, the largest source of pollution loads���agriculture. "While Pennsylvania has some of the best agricultural laws in the region, enforcement and compliance with those laws has been severely lacking. It's estimated that over half of Pennsylvania farms do not have current conservation and/or manure management plans that are fully implemented. The state is now proposing an aggressive education and enforcement program to change that, with the expectation of having all 40,000 of the estimated farms in the watershed in baseline compliance in 7 years. While Pennsylvania recently established a very successful nonpoint source funding initiative through PENNVEST, the WIP must provide a clear commitment to continue and expand this crucial program at a sufficient level of funding. While we applaud Secretary Hanger's intention to establishing a Baywide fund to support innovative agricultural pollution reduction technologies, the WIP must commit Pennsylvania to funding the program regardless of other jurisdictions' support. We firmly believe that both the REAP tax credit program and the conservation districts must be funded at $10 million each, along with other program enhancements, in order to achieve necessary reductions. "Unfortunately, while the revised plan reflects progress for reducing polluted runoff from Pennsylvania farms, it is substantially deficient in addressing stormwater pollution. "Despite the plans positive proposals to address stormwater pollution, such as an intention to increase technical staff, legislation aimed at limiting pollution from lawn fertilizers, and a commitment to develop a "compliance and enforcement" strategy, it continues to lack fundamental details on how these and other stormwater commitments will be achieved. "Polluted runoff from our cities and suburbs degrades over 4,200 miles of Commonwealth streams and remains the only source of water pollution in Pennsylvania that is increasing. Stormwater pollution must be aggressively addressed if we are to meet our clean water requirements. "CBF applauds the extensive effort by the Commonwealth to improve the Plan. Substantial improvements over the previous draft have been made but many shortcomings remain. We urge the state to work with EPA and stakeholders over the next few weeks to address these shortcomings to ultimately ensure that the WIP achieves reasonable assurance that Pennsylvania can achieve pollution reductions under the Chesapeake Bay TMDL. If the Commonwealth fails to do so, then EPA will have no alternative but to exercise its statutory responsibility under the Clean Water Act and require additional actions be taken." Learn more about the state WIPs and the EPA's Chesapeake Bay "pollution diet." 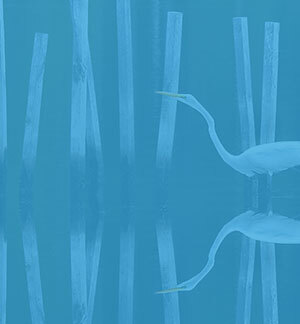 Urge Congress to move forward with the Chesapeake Clean Water Act before year-end.